Hi! 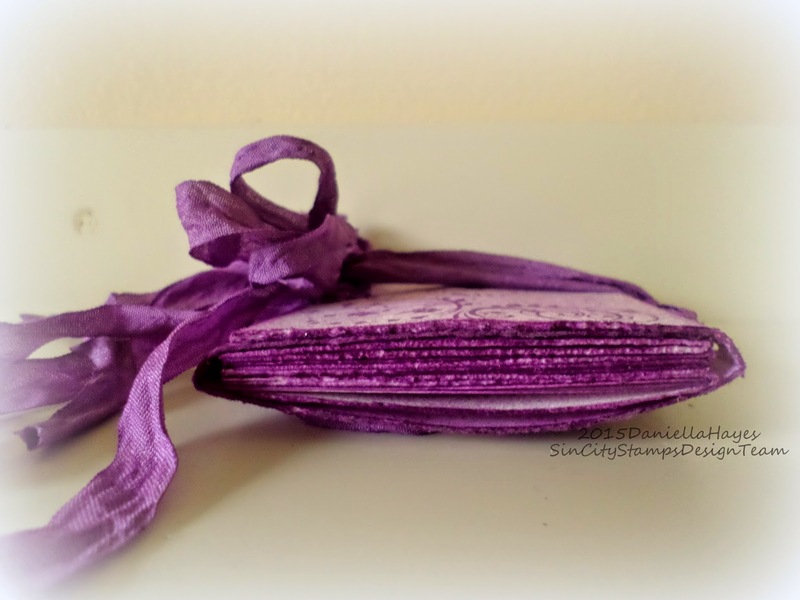 I have an art journal to share with you today. It is a mini, so you can take it with you wherever you go. It measures 4.5"x3" and is made with Mixed Media paper so it is ready for all of your artsy techniques. I even decorated it a little, so jotting down ideas or experiences is super easy! Tattered Angels Glimmer Mist "Mardi Gras"
This is a side view The album is made with plenty of room for you to add tons of stuff to the pages. There is even a little pocket to put things in you want to add later. A little glimpse inside shows some spray ink and stamping. I made 3 "signatures" of 2 pieces of paper each to put inside, for a total of 12 pages. "Signature" is a book binding term for how you add the inside pages. I made a tutorial to show you how I made this tiny journal. 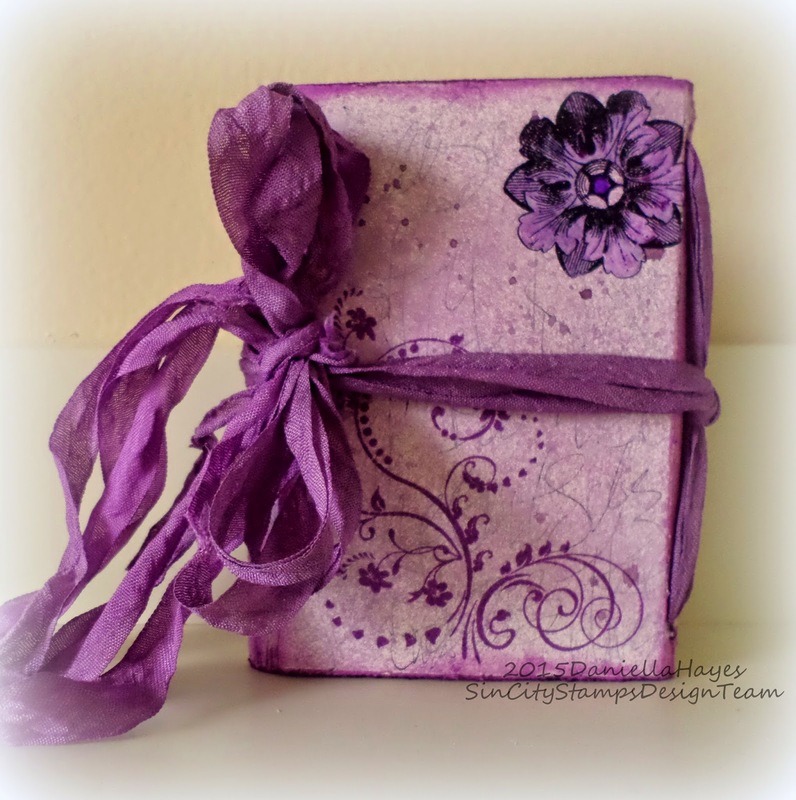 Check out How to Make a Mini Art Journal. by Daniella Hayes on Snapguide. 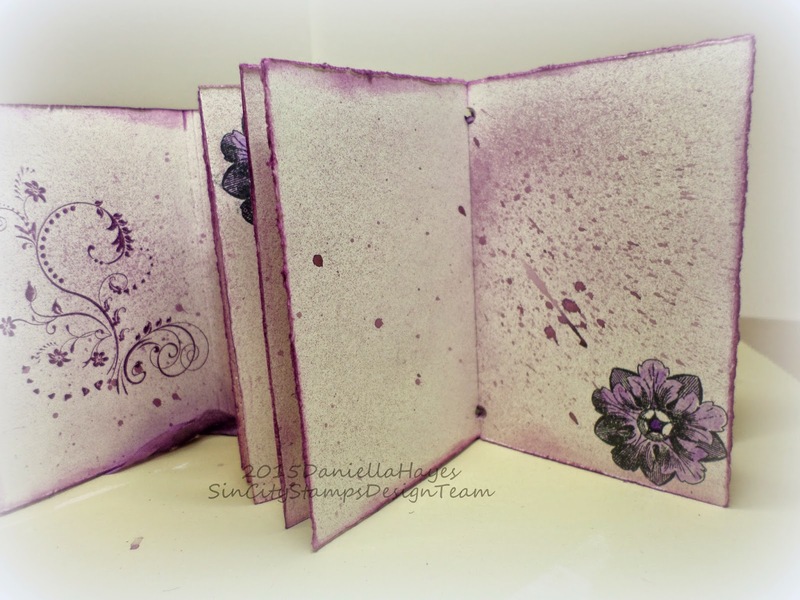 Labels: Art Journaling with Terri Sproul 2, Designer Daniella Hayes, SinCity Stamps "Rosette Hearts"
Daniella, I love your mini journal, I plan to make one myself! Great tutorial, thanks! Definitely a keepsake. Love the colors!